Does your kid want to live in a pineapple under the sea? Does he dream of being yellow, absorbent, and porous? Without a doubt, your child has caught the Spongebob Squarepants fever - and it’s not difficult to see why. Kids from all over the world, even kids at heart, are head over heels for this lovable character. This is why he’s a perfect addition to any party you’re planning! 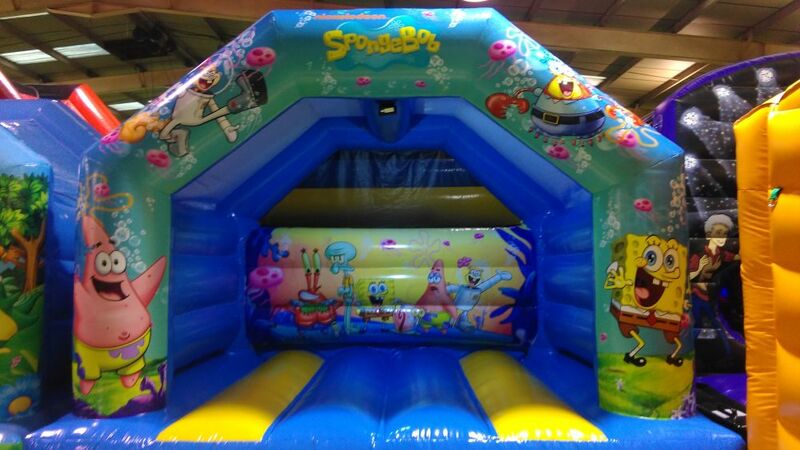 See your little tyke bounce up and down with his or her friends and playmates inside our Spongebob bouncy castle. In under 10 minutes of installation, watch as the little ones are immediately transported to Bikini Bottom. Find Spongebob and Patrick the starfish fill up your child’s imagination. Soon enough, your party will be the talk of the town! The castle requires a space measuring 18ft x 15ft for setup. Other than that, you’ll have nothing to worry about. We’ll take care of all setup, as well as the clean-up after the party. Entertain your guests in the garden, or your backyard for some wholesome fun, whatever the occasion, for a low price of £45 per day! Add £15 for more overnight festivities. Fill up our contact form for any queries and bookings - and we’ll see you on your next party!